Whenever I think of Veneto, the first place that comes to my mind is Venice. With Venice comes its narrow alleys and endless number of bridges, handsome gondoliers, romantic canals and stunning piazzas. Another thing that comes to mind with it are the islands that complete the Venetian lagoon. The islands of Murano and Burano. Once in Murano, find a glass making factory (there are quite a few) and enjoy the experience. I was astounded by the patience and friendliness of the glass makers. The factory that I entered had a small workshop with a huge showroom next door. 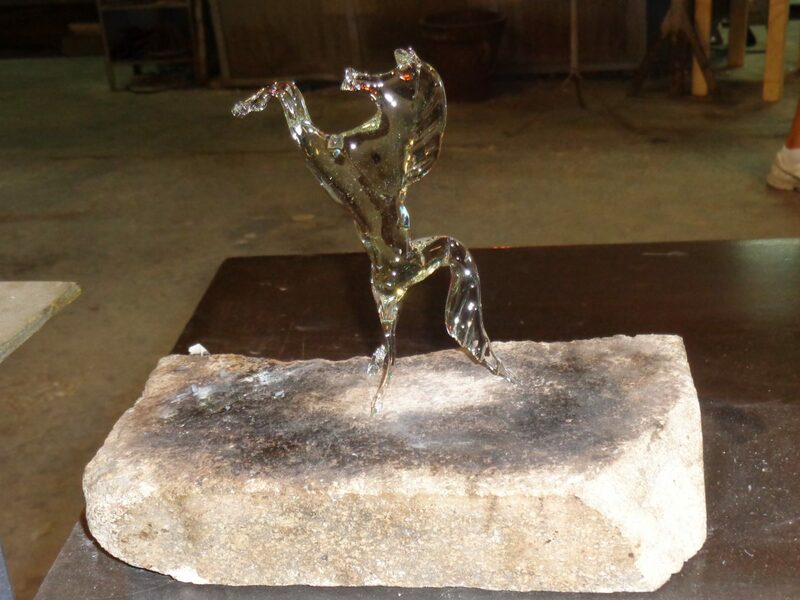 After seeing the glass making process (check the horse below) I whiled away some time in the nearby showroom. There were so many beautiful glass objects to buy- chandeliers, vases, souvenirs and jewellery.. Everything was great but very heavily priced as the Murano glass is very special, exquisite therefore expensive. I enjoyed the experience in all and later walked around the quaint island where the locals were going for their caffe. Have you been to Murano? I highly recommend reading these books before you travel. Thanks Alok 🙂 It was and the beauty of the island added to the experience. Thanks Ishita, you have just given me an idea for my short visit in Venice. Let’s see if we can visit the glass factory then! 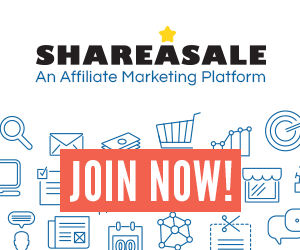 I’m happy to help 🙂 let me know if you do visit. Sure 🙂 I’ll need to write about this anyway! We have … and our advice … or rather, that of a friendly hotel concierge … is, if you’re offered a ‘free ferry’ from the main island … don’t take it, for you’ll be taken to ‘a particular’ glassworks, rather than choose which one to visit. I have a couple of pieces of Murano glass jewellery, gifts from hubby. I would love to visit the island one day! I love Murano too Ishita and have also enjoyed the experience of watching these talented artisans at work. 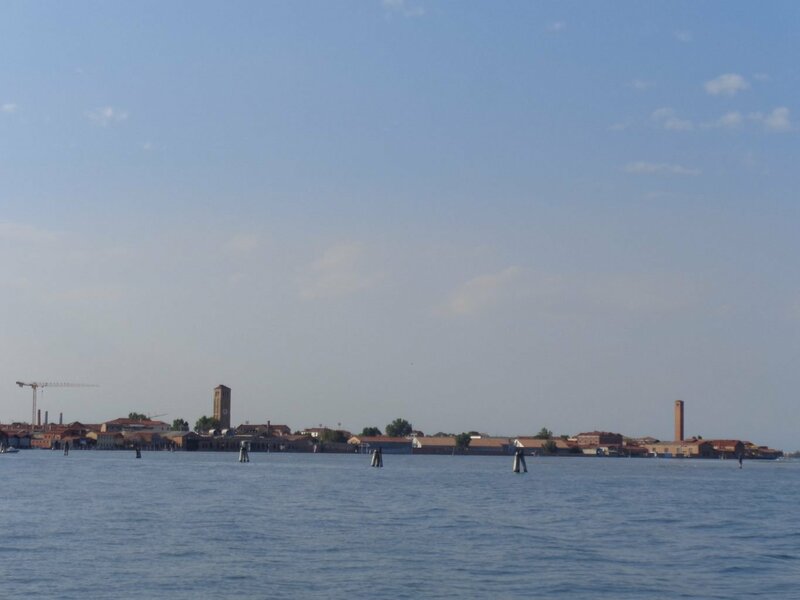 Glad you were able to return to this fascinating place in the Venetian lagoon. Beautiful Pictures now I have a better sense of where the lovely glass bowl I have comes from. I have also experienced the glass making in Murano Ishita, and yes it is an amazing experience. It is such a lovely little village, with fabulous little houses and great little cafes. It is such a pleasure to spend a day there. What lovely photos! Looks like the city is as beautiful and special as the glass created there! Oh, how I wish I had made the trip to Murano when I was in Venice! Even just for a few hours. Your photos are so intriguing!! Love the glass jewelry! 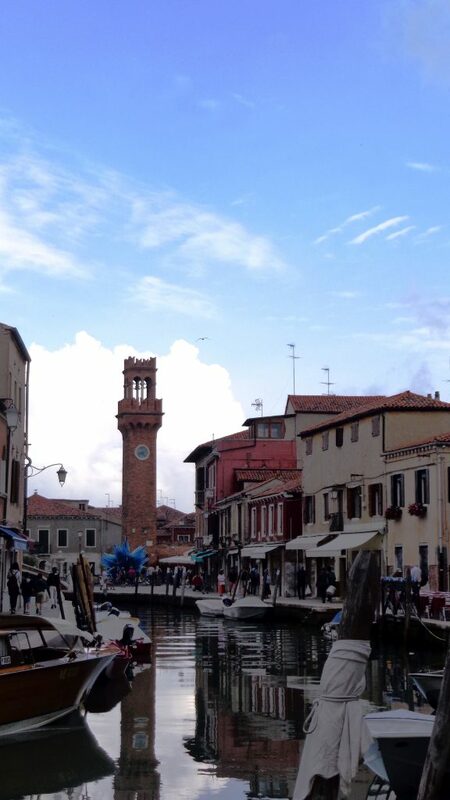 You know I have never been to Murano OR Burano….such a shame because I have spent a lot of time in Venice. Something to do for next time! Not sure if you’re based in London but if you are, what are your favourite Italian restaurants in London?